FPU: Optional 68881 or 68882 (PGA) at the same frequency as the processor. 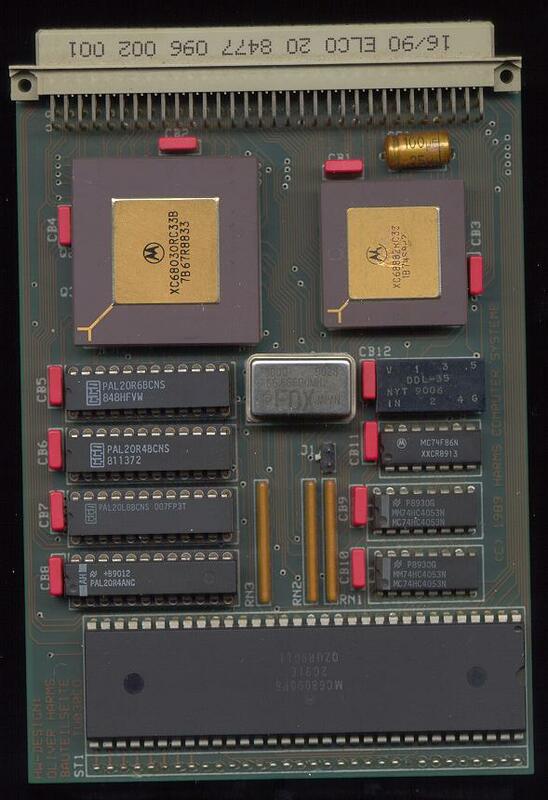 An accelerator for the A500 and A2000 which plugs into the CPU socket. 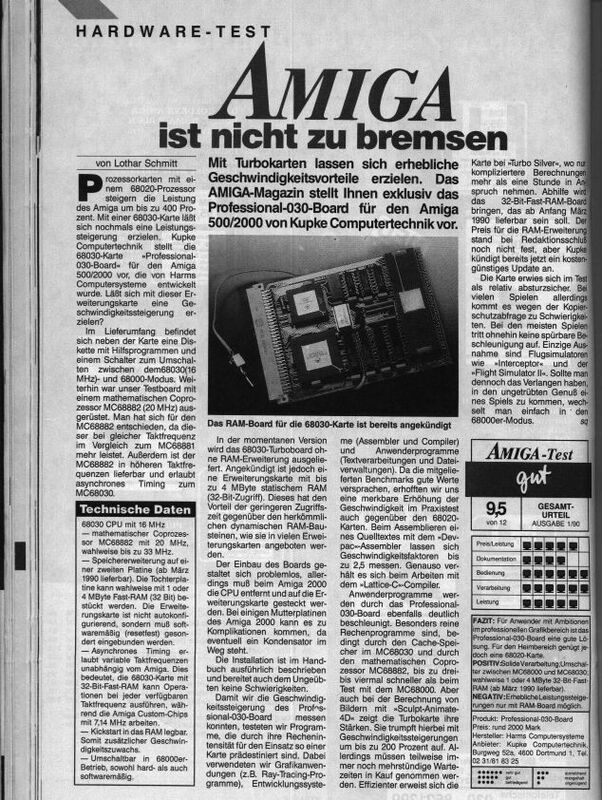 The accelerator can be switched back to 68000 mode in software or hardware for compatibility reasons with old software. Page contributors: Frank Cieslewicz, Steve Geary.